World mixed martial arts champion Fyodor Emelianenko has suffered a shock defeat, going down to Brazilian Fabricio Werdum. The Russian was stopped by a chokehold in the second minute of the fight at the M-1 Global Strikeforce tournament in San Jose, US. It was the first defeat in ten years for the 33-year-old and the second in his career. 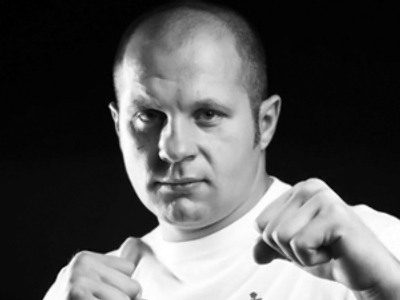 Emelianenko has so far collected 31 wins in the ring, and was undefeated in 27 clashes in a row. “Those, who don’t fall – never get up. I was aiming for a punch and because of it made a mistake, which Fabricio used. We’ll think and analyze how that happened,” the Baddest Man on the Planet told Allboxing.ru after his defeat. After the bout, Werdum said he is ready for a rematch with Emelianenko, who he called the greatest fighter in the world. It was the 14th career win for the Brazilian fighter, who already has four losses and a draw in his resume.